Khatiyas, authentic North Indian cuisine da tadka and warm Punjabi vibes. 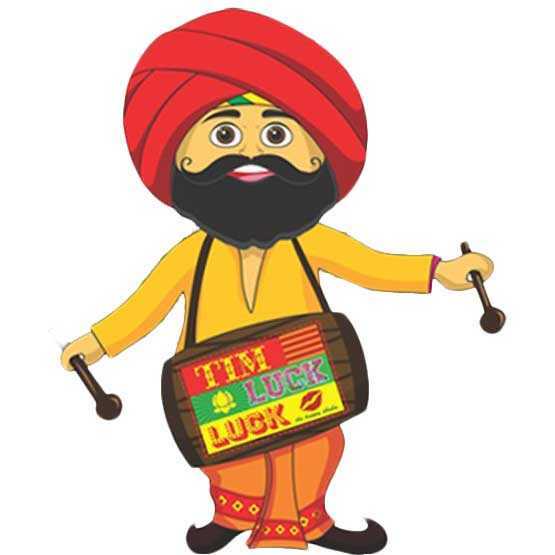 Welcome to Tim Luck Luck, the essence of Punjab captured in a Happy Dhaba. Tim Luck Luck combines the warm hospitality of Punjab and the delectable cuisine in an ambiance of bright lights and rich colours. We have tried to capture the spirit of Punjab in more than one ways, resulting in an experience one would love to come back to. An endeavor by White Summer Hospitality who gave Pune ’11 East Street Cafe’ and ‘Sheetal Arch’, Tim Luck Luck started functioning from December, 2011. It brings the authentic Punjabi Dhaba experience to Pune. The décor, ambiance, taste and flavours are a pure treat for your senses. With every offering to make a delightful experience, come to Tim Luck Luck and return home with an aftertaste of lip-smacking delicacies and memories of a time well-spent.